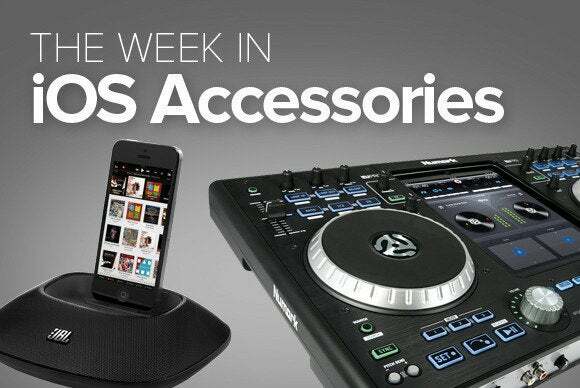 This week's roundup of new iOS accessories includes a slew of gear from Belkin, a bunch of new (and, yes, interesting) cables, a multi-multi charger, and more. 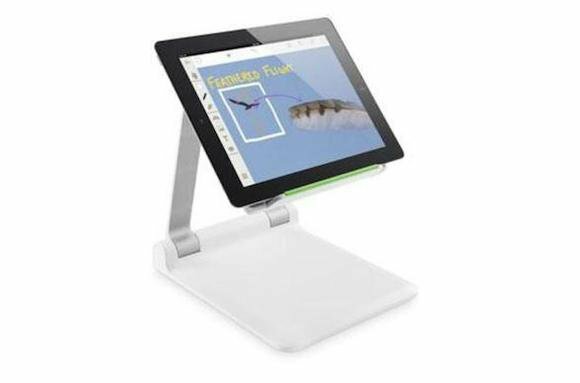 The $100 Portable Tablet Stage is an iPad stand that's, says the company, “perfect for presenting, reading, recording video or surfing the web.” It’s form also lets you use the iPad, along with Belkin’s free Stage app, as a camera for live presentations. The stand itself is lightweight, adjustable for viewing your tablet at any angle, and foldable for easy transportation and storage. Also new from Belkin is the MixIt, a metal-braided Lightning-connector-to-USB cable. It comes in a four-foot version for $25 or a six-foot model for $30. 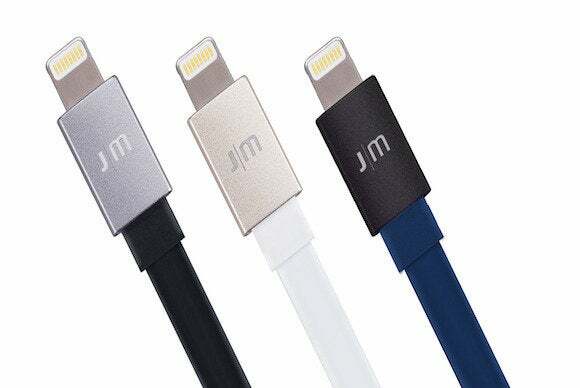 Each is available in gold, silver, or gray to add a touch of style whenever you charge or sync your iPad, iPhone, or iPod touch. 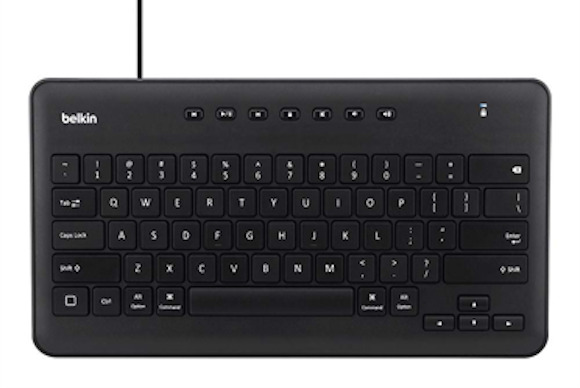 One last item from Belkin: Sometimes — often in school environments — you don’t want a Bluetooth keyboard for your iPad. Rather, you need to connect the keyboard the old-fashioned way. Belkin’s $60 Secure Wired Keyboard for iPad provides just that service. 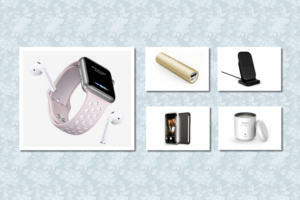 Multimedia controls include volume, mute, play/pause, fast-forward, rewind, and screen lock. More cables! 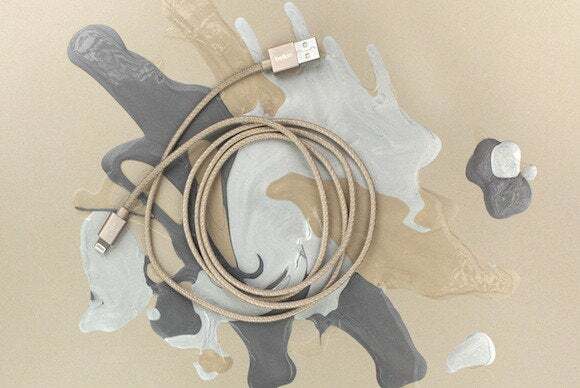 The $20 AluCable Flat is a fashion-focused, 4-foot cable with a Lightning connector on one end and a USB plug on the other. 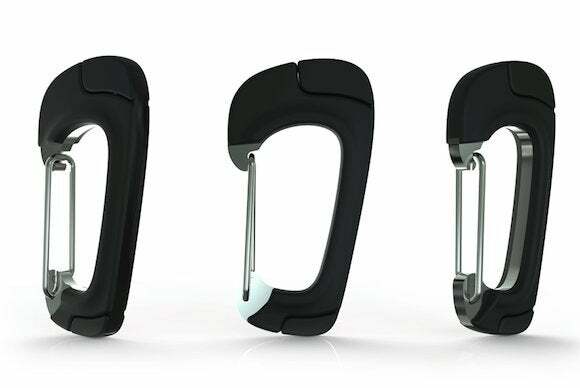 It's available in black with silver connectors, white with gold connectors, or blue with black connectors. 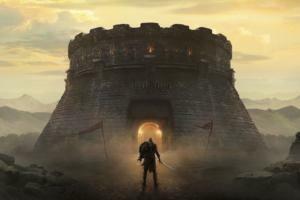 This company has announced a couple cool new products. 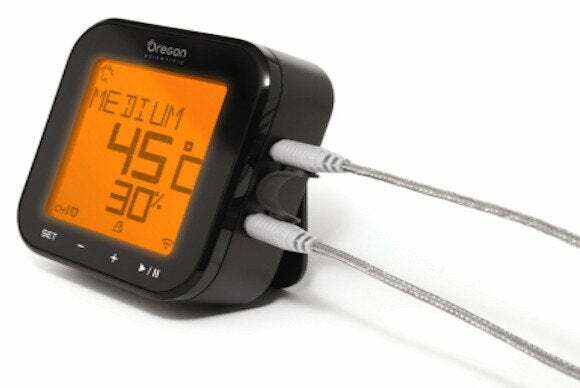 The $60 Grill-Right Bluetooth BBQ Thermometer (pictured) conveys information about the internal temps of your meat while it’s still cooking. One the food's ready (and safe) to eat, you’ll get a notification from your phone or tablet. The Weather@Home line, meanwhile, provides weather sensors for your house, relaying the latest information to your phone. 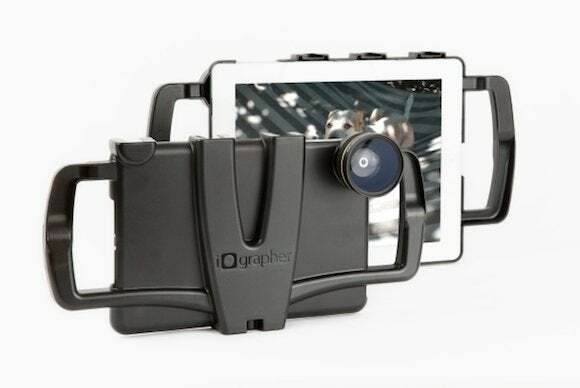 The $85 iOgrapher iPad Video Rig lets you make high-quality movies using your iPad or iPad mini. The device provides “lots of mounts for accessories like tripods, pro quality microphones and lights,” says Photojojo. 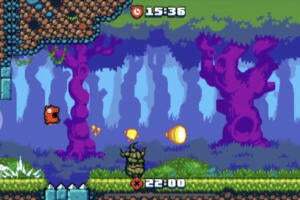 It includes a wide-angle lens. 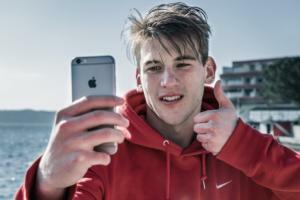 A $320 version of the product includes the wide-angle lense and a Rode microphone. 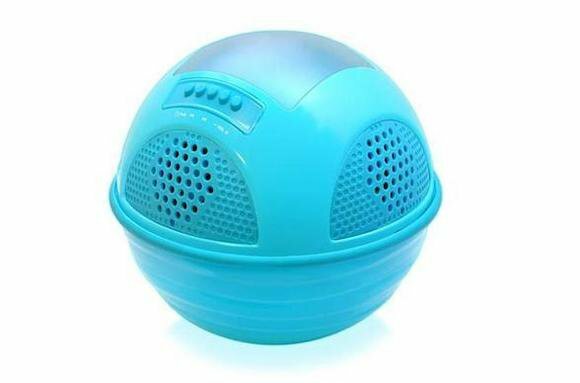 The $100 Aqua Sunblast speaker is, of course, a wireless Bluetooth speaker that can stream songs from your iOS device, but it comes with an interesting tradeoff: On the one hand, you only get four hours of playback time; on the other hand, it floats, letting you take your tunes—literally—on the water. 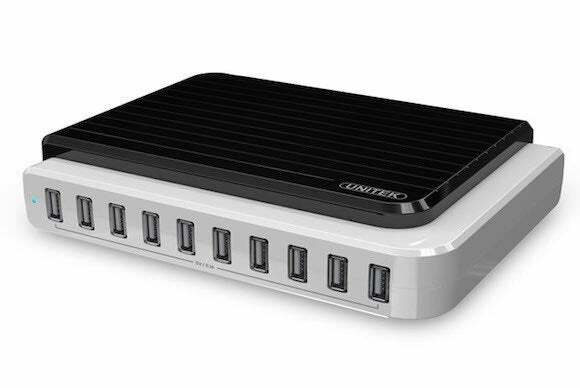 The $80 10-Port Charging Station is pretty much exactly what it sounds like: a charger that can accommodate up to ten iOS devices—even 10 iPads—at the same time, says the vendor.